Good experience working with PHP+, MySQL. 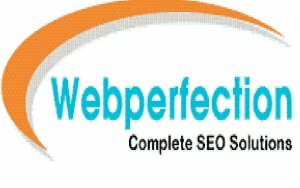 Webperfection is a unique Web development company having outstanding deep experience, expertise and a vision towards client’s requirements. In a short span of time Webperfection has worked effectively with many industries and clients. We offer unique, eye catching and SEO friendly, web development services, Software Development, Mobile Technology, Website Designing, E-commerce, PHP Based Website, Open Source Application, CMS Application for Wordpress, BuddyPress, Drupal, Joomla, Magento, Payment Gateway Solutions, Microsoft Technologies Services, Graphic and Animation Services, SEO Services.